Hi friends! I apologize for my brief absence; the holidays have been a hectic time. Today I am back to ring in the new year with you! I was inspired by Kriselle's post over on Livin' and Lovin' to do a "Best Of" post for 2014. Let's have a look, shall we? These are the posts that you guys loved this year, with thousands of more page views than any other post on my blog. The ones you guys "chose" as your favorites really surprised me! Review: Adovia Dead Sea Mineral Eye Gel - I really enjoyed using this eye gel, and I'm still using it now! Review: e.l.f. Little Black Beauty Book: Warm Edition - I want a badge that says "I swatched every single eye shadow in this palette" and I'll wear it all the time. Review: Boscia Luminizing Black Mask - You guys loved this post, which is great, but it seemed to come out of nowhere! I went really in-depth with the ingredients in this one, so check it out if you feel like being a beauty detective (or a scientist). Review: Broadway Nails imPRESS Press-on Manicure - This was another one that I was surprised to see on this list! I'm glad it was helpful to some of you! Why I Cancelled My Ipsy Subscription - By thousands upon thousands of page views, this has been my all-time most-popular post since it was written. You guys just love hearing me complain! I'll have to do more rants in 2015, I guess! These are the guest posts I've done on some other great blogs. I've loved working with these wonderful bloggers over this past year, so I hope you take the time to check them out! Back to School Checklist: Beauty Edition on Livin' and Lovin' - Kriselle writes about a little bit of everything on her blog, and in this post I decided to update my back-to-school beauty essentials! 6 Things You Should Do in the Morning on Endless Bliss - This post received a lot of positive feedback, and it was a lot of fun to write! It kind of makes me want to do more lifestyle posts in the new year. How to Love Yourself on Whispering Sweet Nothings - This was about a subject that resonates deeply with me (and I think with everyone, to some extent or another), and I really loved writing it. Before I buy any new products, I always like to see what the buzz is about them. What does the majority say about it? What do people like and dislike about it? (Mostly, "what do they dislike about it," because that's the juicy stuff I want to know). The Beauty Department - Lauren Conrad's beauty blog is classy, informative, and clean in format. It's really great if you're looking for product suggestions, and her images are also very Pinnable. Beautypedia - Paula Begoun, the Cosmetics Cop, keeps a running beauty encyclopedia about all of the products her and her team review. She's tough to impress, so I always look to her when I want the nitty gritty on a product. Makeup Alley - I don't buy anything without checking out what people said about it on MakeupAlley! This site has a product review page for over two million products, and people can rate them and leave feedback. It's really great to receive information from a number of different people who tried a product, and usually you can get hints as to how people use it. Nouveau Cheap - When you're talking about a drugstore product, it's probably on Nouveau Cheap. This blog is also great for staying up-to-date on the drugstore beauty sales. Pink Sith - Elvira doesn't write as much as she used to, but when a post goes live I read it as soon as I can! Her witty way of writing is really unique, and she doesn't take herself too seriously. She's done some wonderful posts on ingredients, about what they do for you and what to look for. Temptalia - Christine is the ultimate beauty blogger. Her pictures are out-of-this-world in quality, and I have no idea how she can thoroughly review so many products so often. She's a superstar! These are my favorite beauty blogs that I read on a regular basis this year. The bloggers are so sweet, so do check them out if you have the time! Allison Anderson - Formerly amarixe, Allison uses this blog as a supplement to her YouTube channel. She was the very first YouTuber that I watched, and I love her personality. She's sweet and genuine, and it comes across in her writing. Collective Beauty - Julie's blog is really lovely. Her pictures are beautiful, and I love her makeup looks! Her blog is really varied beauty-wise; she does everything from Face of the Days, to reviews, to subscription unboxings. Glamorable! - Anastasia's blog is so sleek and clean, and I really enjoy reading her subscription unboxings. She also does amazing nail art! Jolie Pagaille - Jolie pagaille means "Beautiful Mess" in French, which I think is awesome. Vivienne is such a joy. She has a little bit of everything on her blog, including technology, fashion, and love, but I usually stop by for the beauty stuff. If you visit her blog, tell her I say hi! 20 Something+ - Bethany is so fun! Her blog posts really incorporate her voice, and I think she's hilarious. Plus, her design and pictures are really clean, so there's nothing not to like. 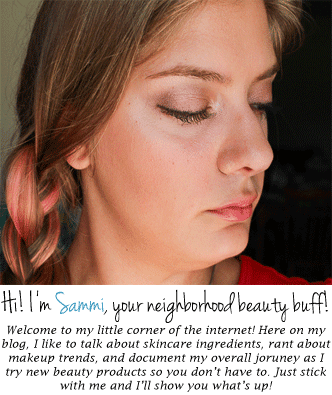 I read blogs that aren't solely based in beauty! These were some of my other favorite blogs this year, ranging from fashion to lifestyle to everything in between. Buttons and Birdcages - Michelle's style blog is one of the few fashion blogs I read on a regular basis. She always photographs in such beautiful locations, and I really like her sense of style. Plus, her blog design is adorable. Endless Bliss - Tiffany runs a happy lifestyle blog, where she'll write about a bunch of different topics. If you need something to lift your spirits, check her out. Livin' and Lovin' - Kriselle writes about a little bit of everything, from dating to beauty to things going on in her life. She's also really sweet, so you can't go wrong. Lush to Blush - I think Megan is just so stylish! She mostly writes about style but there are some lifestyle posts on there as well. She's classy and her photographs are gorgeous, so she's a great place to start if you need some fashion inspiration. October June - Lizzie's blog always makes me want to get out and do things! From fun DIY projects to travel posts, to beauty and fashion, Lizzie has an eclectic mix of fun stuff on her blog. She also has amazing taste in music (I have three of her playlists on my Spotify right now). Whispering Sweet Nothings - Shane has a wonderful voice, and it seems like she's always uploading a new post. Although she has a little bit of everything on her blog, I love the posts where she really tackles the hard stuff, with posts like "Why We Fail." Her blog is also a great resource for other bloggers, since she often posts about subjects like balancing a blog with a full time job. Wow, I can't believe one year was abbreviated into one blog post. Well, it's been a great journey, friends. Thanks for sticking with me, and I can't wait to see what 2015 brings for us. Cheers! Feeling nostalgic? 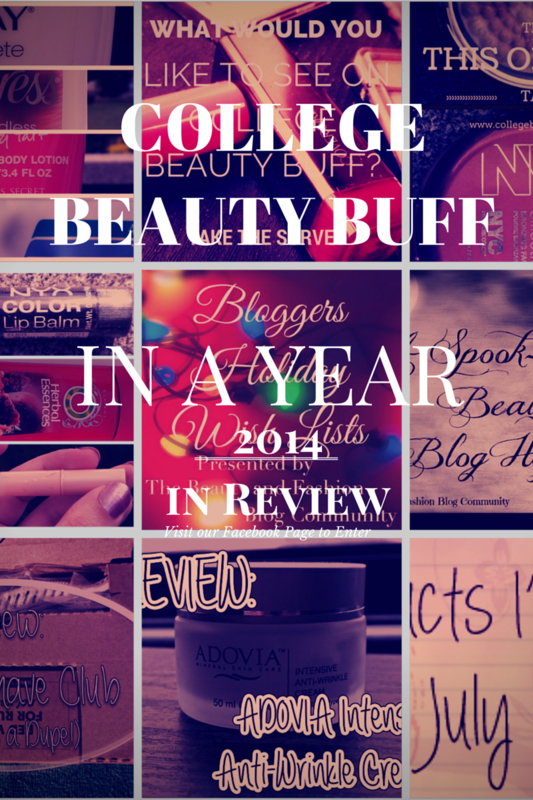 Check out my "ring in the new year right" posts from 2013!